Perinatal mental health: How can our new interactive tool help? Earlier this year a report from the Centre for Mental Health and Royal College of GPs highlighted that too many women are ‘falling through the cracks’ and not getting the help they need for mental health problems during and after pregnancy. If untreated, perinatal mental health problems can have devastating long-term impacts on women, their babies and families. According to the report, the biggest barrier to providing better support to women experiencing poor mental health in the perinatal period is the low level of identification of need. 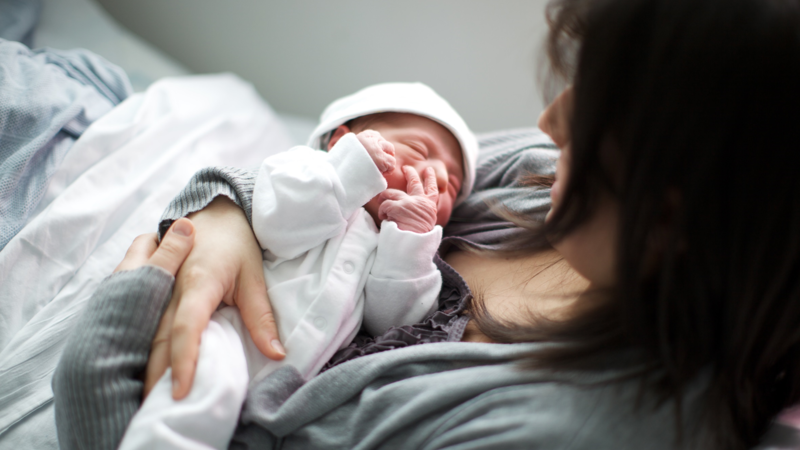 Today, PHE has launched a new interactive tool to help local commissioners and providers to plan their approach to perinatal and infant mental health in their area. The new needs assessment tool provides evidence-based information on risk factors affecting perinatal and infant health. It will support commissioners and providers to undertake needs assessments in order to ensure that there are adequate parent-infant interventions available for mothers, their partners and families. The tool can be used to develop a business case or initiate conversations around service improvements or the need for a service review or local audit. Between 10% and 20% of women are affected by mental health problems at some point during pregnancy or the first year after childbirth. This tool covers a range of mental health problems including depression, anxiety, post-traumatic stress disorder (PTSD), postpartum psychosis and adjustment disorders and distress. Healthy social and emotional development in babies and toddlers is important as it creates a foundation for healthy behaviour in the future and helps to prevent behavioural and mental health problems. The needs assessment report that the tool will help to produce brings together a range of relevant data and evidence on demographics, estimates of the number of women likely to be affected by particular mental health problems and risk factors for each upper tier local authority and clinical commissioning group (CCG). However, the most useful starting point for writing your local needs assessment will be what you know already. National datasets are just one part of what will be a complex picture of need in your local area and you may have data available locally that can help. It’s also important to consider the views of local women and families when commissioning perinatal and infant mental health services, and your local Healthwatch can provide information on how to do this. Examining local and national data and evidence is essential to build up a picture of service need in your area, but it can also raise further questions. The ‘next steps’ section within the report has useful pointers on where to look for further help and information. Our guide to the tool also provides information on what to consider when looking at the estimates and points to think about when looking at risk factors. Health and social needs are inherently complex, and there will not be a single factor that is responsible for levels of perinatal and infant mental health issues in your area. The data and evidence provided by this tool should be used as pieces of a jigsaw that link together to give you a picture of the needs of your local community. As with all health data and intelligence, it is important to ‘sense check’ the findings with colleagues and compare it with your own local knowledge. Is the picture given by the data what you would expect? Your local PHE knowledge and intelligence service can help you to understand the reasons why something is not as you might expect. Women experiencing mental health problems during and after pregnancy need timely access to local support. The effects of that support could continue to make positive impacts on her health, and that of her child, for years to come. Assessing the need in your area is the first step to ensuring that help is there as soon as it’s required and that action to prevent problems is incorporated into your local plans.